This rose will reward you with blooms for months during summer and autumn. Low arching growth which is easy to maintain. looks excellent planted en-masse. 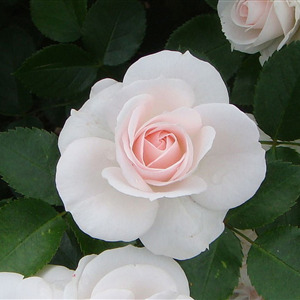 A low-growing floribunda with sprays of well-shaped blooms of white/blush pink. Glossy foliage is extremely disease-resistant. Constantly in flower well into November. Makes a lovely gift. 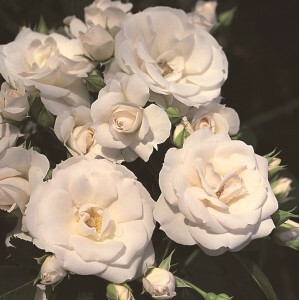 Bred by Tantaus of Germany 1997, and introduced into the UK 2002.